Decades before the Coachella Music Festival became the most coveted destination for every smartphone-toting, selfie-taking, head-nodding twentysomething dreamer on the planet, the Winter Music Conference was THE place to be. Launched in Miami, Florida in 1985, the WMC was the first global gathering of electronic dance music (EDM) industry insiders: executives, label managers, headlining artists, up-and-coming talent, back-room producers, PR representatives, press, and partying fans. For many, the conference was initially treated as a business trip rather social atmosphere, with educational seminars, panels, workshops, DJ showcases, and other training events. Then, in 1999, along came the Ultra Music Festival. 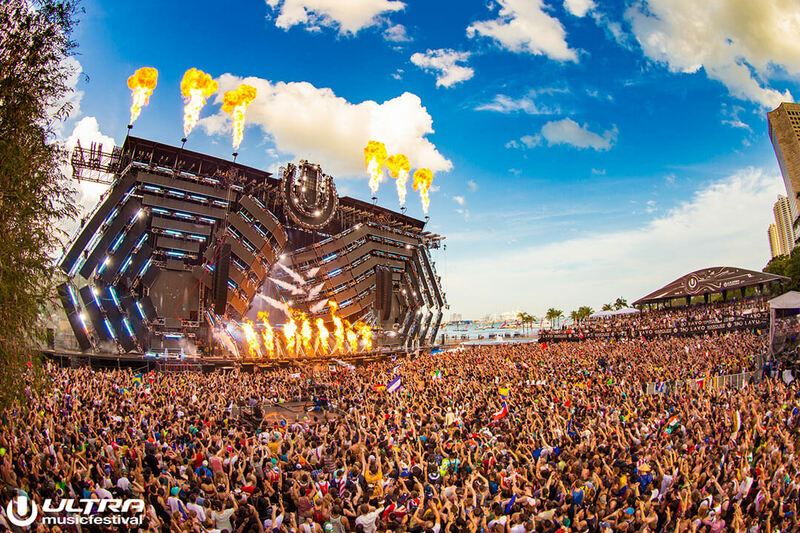 A one-day event for its first eight years, the UMF or “Ultra” is Miami’s outdoor electronic dance music (EDM) festival that takes place every March. 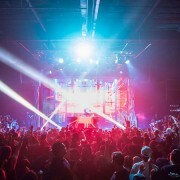 As EDM has surged in popularity worldwide over the past decade, this festival has grown from a two-day to now a three-day event, and the 2017 version of UMF is now one of the premier party destinations for Spring Break college kids and wealthy foreign travelers alike, with attendance expected to hit 175,000-200,000 revelers. So then, what is “Miami Music Week” all about? 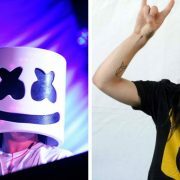 Technically, it’s the combination of both the Winter Music Conference “business/technical side” of EDM and the Ultra Music Festival “concert/performance side” of EDM into one week-long mega-event for the city of Miami. Above and beyond the official events organized by the WMC planners and the UMF planners, the rest of the city’s local hotspots and businesses join in on the party, with performances by over 1,000 artists in over 200 events held in various venues from nightclubs to bars to restaurants to hotel pools to public areas such as Lincoln Road and the Miami beaches. Now that you’re all caught up with the history, back to the present! 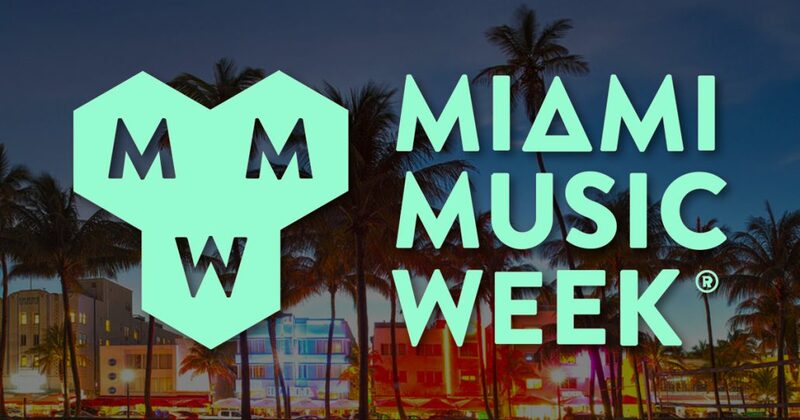 This year’s MMW, running from March 18-26, promises to be even bigger and better than years past. Apart from attending the gargantuan Ultra Music Festival itself, here’s a small sampling of the marquee party events in town, the full list of which you can browse and then book table reservations, tickets, or guest list for using the Discotech app. 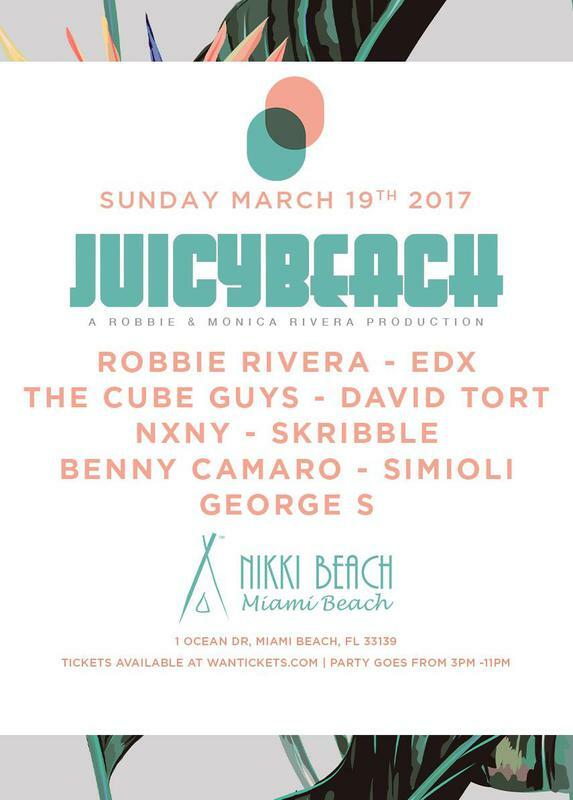 One of South Beach’s iconic beach party venues welcomes back Juicy Music’s roster of artists for the first large-format on-the-sand party of 2017 Miami Music Week. 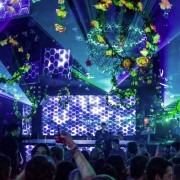 The all-star sessions at Miami’s big-name nightclubs start in earnest on the Tuesday of MMW, with E11Even nightclub – the relative new kid on the Miami block known for its Cirque-style performers – setting out to bolster its rep by serving up a smorgasbord of blockbuster EDM names playing back-to-back on every night of the MMW stretch. 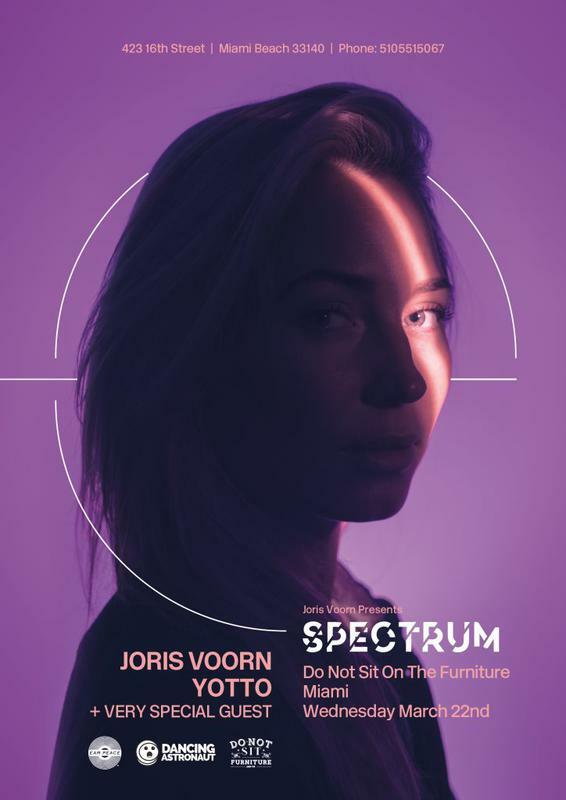 Joris Voorn’s brand-new SPECTRUM concept exploded over the first two launch weekends, with four sold-out shows garnering amazing reviews from those in attendance and the press alike; now they bring the showcase to the big leagues of Miami Music Week. 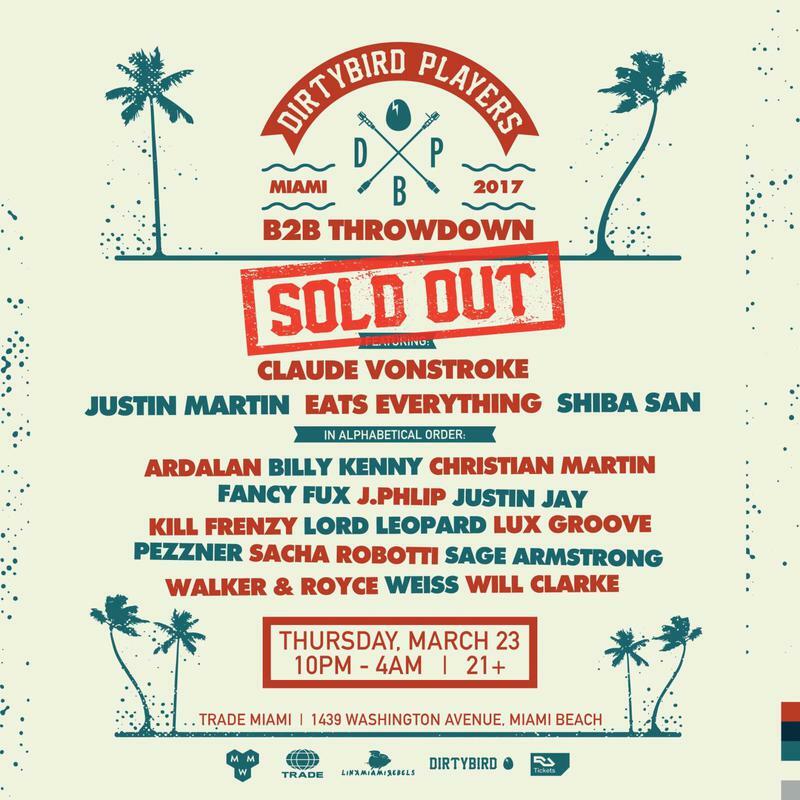 The Dirtybird Players return to Trade and it promises to be even bigger and better than before. With two rooms of action and a massive, all-star line-up, this year’s B2B throwdown promises to be another can’t-miss event. 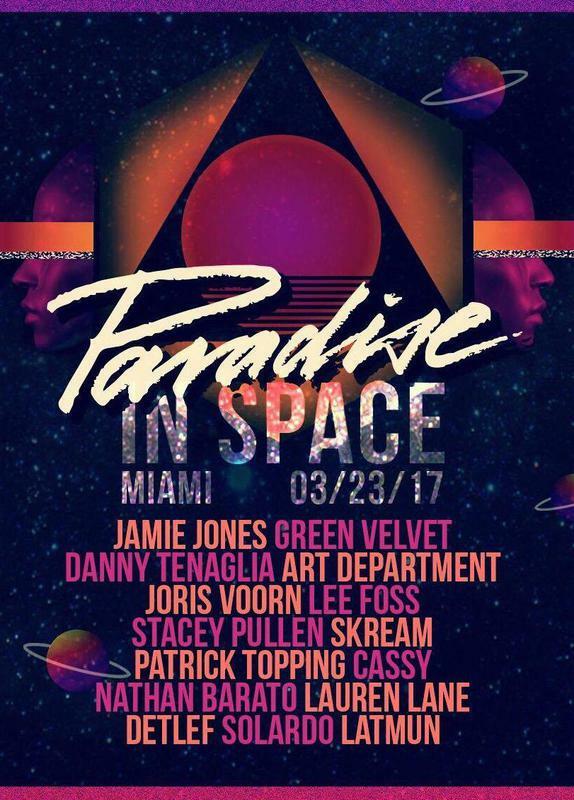 Maintaining the high level of party vibes Paradise has been heralded for, Paradise in Space will fully immerse party goers in a complete cosmic experience with a take-over of Downtown Miami’s most well-known warehouse-style nightclub. 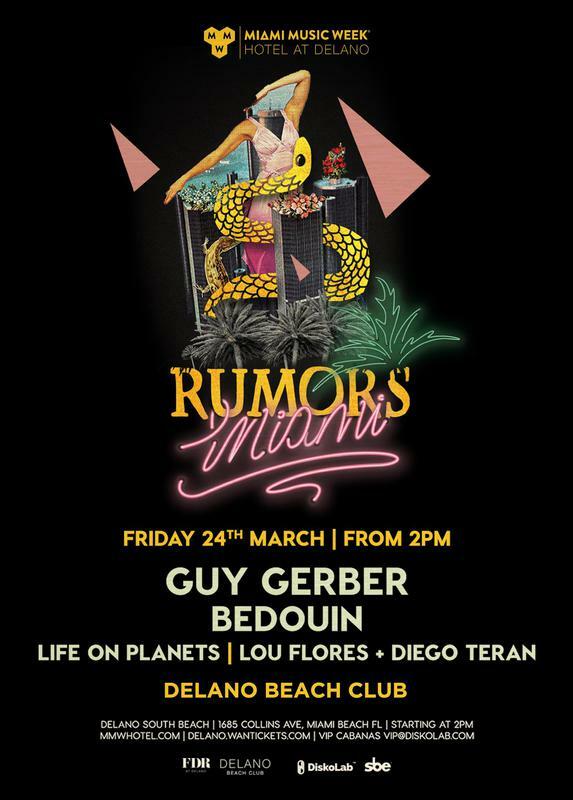 This event showcases the talents of Guy Gerber, arguably the most acclaimed Israeli EDM artist today. 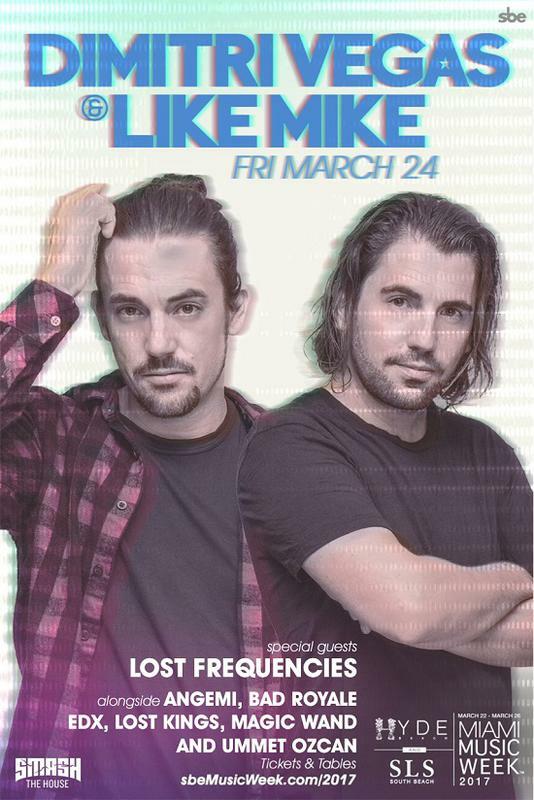 Few EDM artists bring the energy and build-up skills that Dmitri Vegas & Like Mike do, and they will have the normally sleepy Hyde Beach pool rocking on what is sure to be a Friday Ditch Day at workplaces all over South Florida. With Day 1 of Ultra in the books, the Saturday hotel pool parties will be packed as revelers seek to soak in some sun and recharge their batteries from the night before… or just go straight from the festival to the next venue. A ten-hour set at the National by a rainbow coalition of DJ talent including Julian Jordan, Cazzette, and Rebecca & Fiona, could be just what the doctor ordered to wind the party down… or to turn the party up, depending on your MMW sleep schedule. 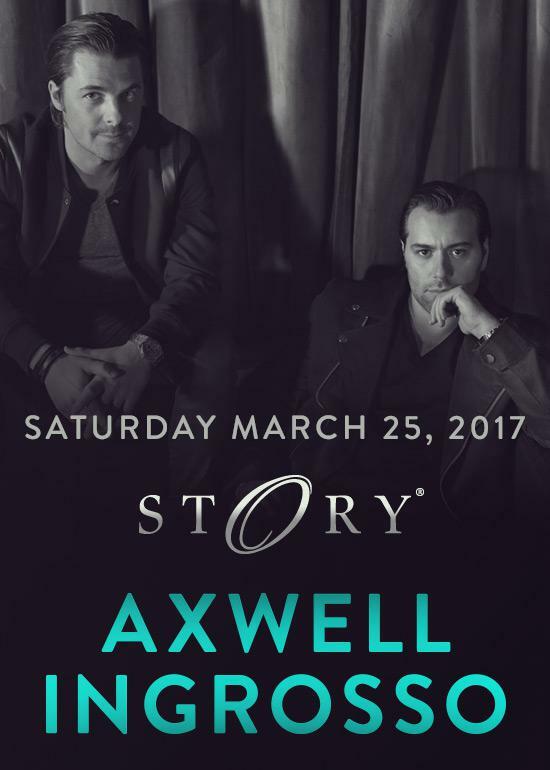 As if entrance to one of Miami’s most storied nightclubs (pun intended) wasn’t already tough enough on a normal weekend, this Saturday night special featuring two of EDM’s biggest acts – just one day after hosting Alesso – ensures only VIPs and big spenders will get past the velvet ropes. 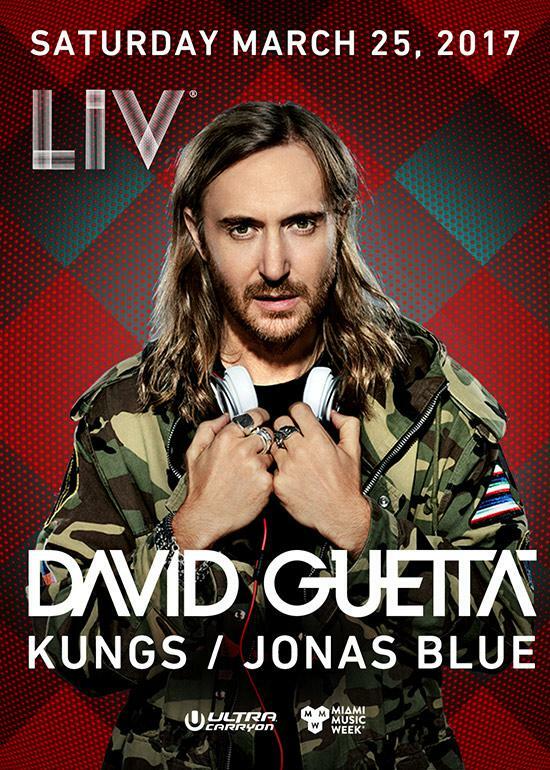 We’re curious about the “& Friends” part of this billing, but Guetta as the headliner at Miami’s longstanding “it” nightlife spot means we’d have to pay five figures for a table to find out. Not our cup of tea – is it yours? If you see kids in banana suits running around the hotel pool on the last day of Miami Music Week, you could be running on fumes from sleep deprivation, or else under the influence of various party substances… or you may just be at Hyde Beach, where Dada Life and their legions of faithful banana-costumed fans will be giving a royal send-off to the 2017 MMW festivities. 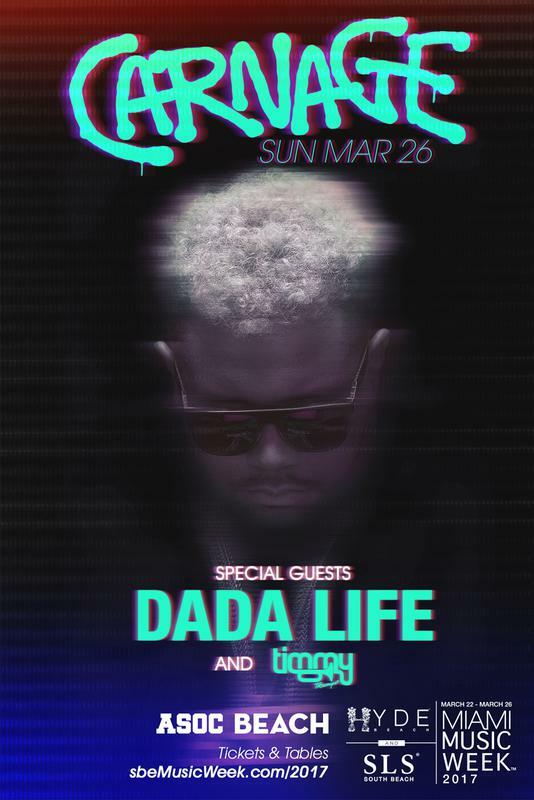 Carnage will also be in tow, warming up in the first set of his doubleheader performance that begins poolside here at Hyde and ends across the I-395 causeway at club E11even at around 3am. More events and more venues for Miami Music Week can be found in our app. 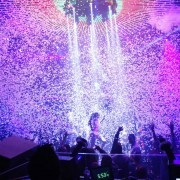 Now get out there to South Beach and be a part of party history!